Humans are currently in a war against global warming. Or is it a race against global warming? Or maybe it's just a problem we have to deal with? For scientific evidence to shape people's actions – both personal behaviors like recycling and choices on policies to vote for – it's crucial that science be communicated to the public effectively. Social scientists have been increasingly studying the science of science communication, to better understand what does and does not work for discussing different scientific topics. It turns out the language you use and how you frame the discussion can make a big difference. "Never have human societies known so much about mitigating the dangers they faced but agreed so little about what they collectively know," writes Yale law professor Dan Kahan, a leading researcher in the science of science communication. Kahan's work shows that just because someone has scientific knowledge, he or she won't necessarily hold science-supported beliefs about controversial topics like global warming, private gun possession or fracking. Instead, beliefs are shaped by the social groups people consider themselves to be a part of. We're all simultaneously members of many social groups – based, for example, on political or religious affiliation, occupation or sexuality. If people are confronted with scientific evidence that seems to attack their group's values, they're likely to become defensive. They may consider the evidence they've encountered to be flawed, and strengthen their conviction in their prior beliefs. Unfortunately, scientific evidence does sometimes contradict some groups' values. For example, some religious people trust a strict reading of the Bible: God said there would be four seasons, and hot and cold, so they don't worry about the patterns in climate that alarm scientists. In cases like this one, how can communicators get their message across? A growing body of research suggests that instead of bombarding people with piles of evidence, science communicators can focus more on how they present it. The problem isn't that people haven't been given enough facts. It's that they haven't been given facts in the right ways. Researchers often refer to this packaging as framing. Just as picture frames enhance and draw attention to parts of an image inside, linguistic frames can do the same with ideas. One framing technique Kahan encourages is disentangling facts from people's identities. Biologist Andrew Thaler describes one way of doing so in a post called "When I talk about climate change, I don't talk about science." Instead, he talks about things that are important to his audiences, such as fishing, flooding, farming, faith and the future. These issues that matter to the people with whom he's communicating become an entry into discussing global warming. Now they can see scientific evidence as important to their social group identity, not contradictory to it. Metaphors also provide frames for talking about climate change. 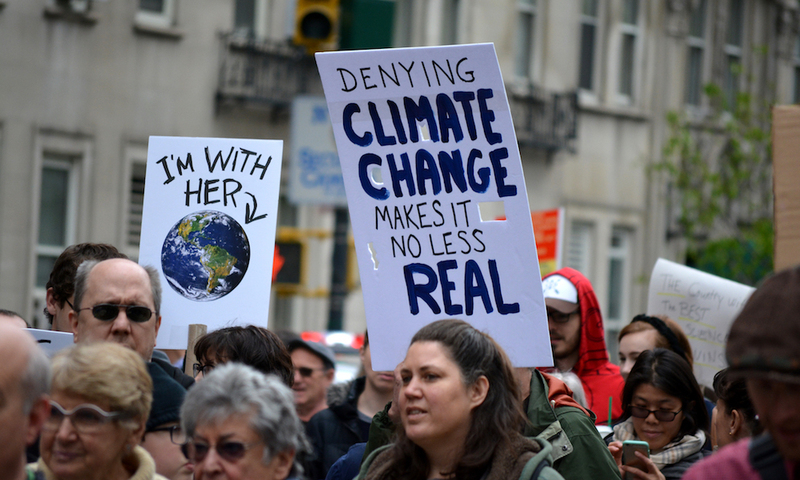 Recent work by psychologists Stephen Flusberg, Paul Thibodeau and Teenie Matlock suggests that the metaphors we use to describe global warming can influence people's beliefs and actions. The researchers asked 3,000 Americans on an online platform to read a short fictional news article about climate change. The articles were exactly the same, but they used different metaphors: One referred to the "war against" and another to the "race against" climate change. For example, each article included phrases about the U.S. seeking to either "combat" (war) or "go after" (race) excessive energy use. Metaphors mattered. Reading about the "war" against global warming led to greater agreement with scientific evidence showing it is real and human-caused. This group of participants indicated more urgency for reducing emissions, believed global warming poses a greater risk and responded that they were more willing to change their behaviors to reduce their carbon footprint than people who read about the "race" against global warming. The only difference between the articles that participants read was the metaphors they included. Why would reading about a war rather than a race affect people's beliefs about climate change in such important ways? The researchers suggest that when we encounter war metaphors, we are reminded (though not always consciously) of other war-related concepts like death, destruction, opposition and struggle. These concepts affect our emotions and remind us of the negative feelings and consequences of defeat. With those war-related thoughts in mind, we may be motivated to avoid losing. If we have these war thoughts swimming around in our minds when we think about global warming, we're more likely to believe it's important to defeat the opponent, which, in this case, is global warming. There are other analogies that are good at conveying the causes and consequences for global warming. 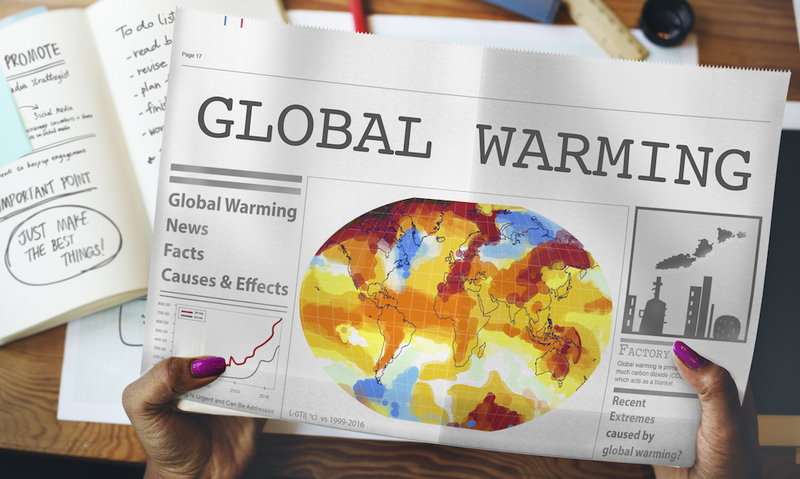 Work by psychologists Kaitlin Raimi, Paul Stern and Alexander Maki suggests it helps to point out how global warming is similar to many medical diseases. For both, risks are often caused or aggravated by human behaviors, the processes are often progressive, they produce symptoms outside the normal range of past experiences, there are uncertainties in the prognosis of future events, treatment often involves trade-offs or side effects, it's usually most effective to treat the underlying problem instead of just alleviating symptoms and they're hard to reverse. Climate change messages can also be framed by focusing on different time periods. Social psychologists Matthew Baldwin and Joris Lammers asked people to read either a past-focused climate change message (like "Looking back to our nation's past… there was less traffic on the road") or a similar future-focused message ("Looking forward to our nation's future… there is increasing traffic on the road"). And the frames didn't have to be words. Conservatives also shifted their beliefs to be more pro-environmental after seeing past-focused images (satellite images that progressed from the past to today) more than after seeing future-focused ones (satellite images that progressed from today into the future). Liberals showed no differences in their attitudes after seeing the two frames. There's no one-size-fits-all frame for motivating people to care about climate change. Communicators need to know their audience and anticipate their reactions to different messages. When in doubt, though, these studies suggest science communicators might want to bring out the big guns and encourage people to fire away in this war on climate change, while reminding them how wonderful the Earth used to be before our universal opponent began attacking full force.